Product prices and availability are accurate as of 2019-01-13 12:03:31 EST and are subject to change. Any price and availability information displayed on http://www.amazon.com/ at the time of purchase will apply to the purchase of this product. This Ridgid 7-1/4 in. Circular Saw is great for tough, heavy-use jobs. The powerful 15 amp motor feature sealed bearings and use high grade materials for long lasting professional performance. Several features include a sightline blower, kerf lines in the front and back of the heavy gauge aluminum base and and innovative micro texture grip for all day use. 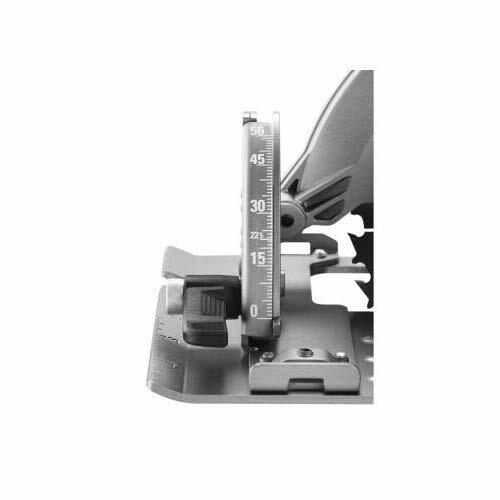 0 - 56 degree bevel detent system allows positive stops at 6 common cut angles for quick adjustments Ratcheting lock levers can be secured in multiple positions Micro textured grip for secure grip and maximum user comfort for all day use Includes: 15 Amp 7-1/4 in. 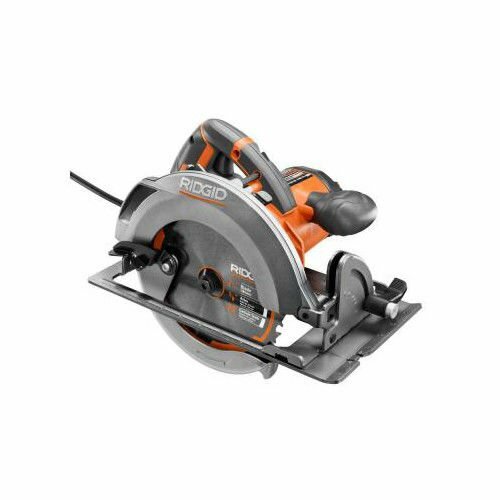 Circular Saw - ZRR3205.